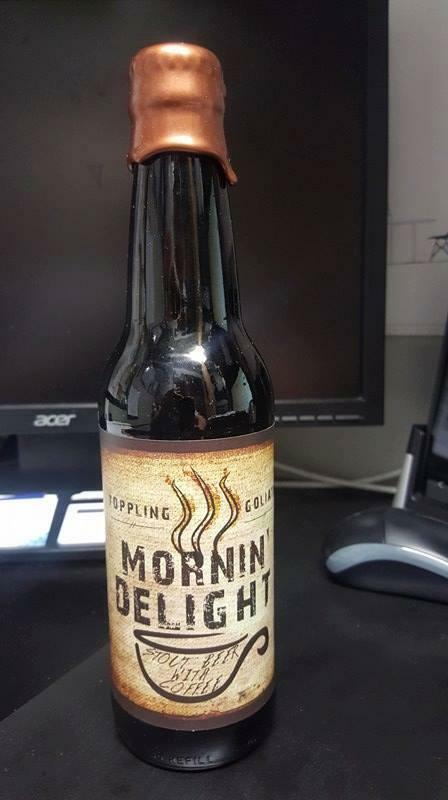 Available is a bottle of morning delight batch 1 from Toppling Goliath brewing. This is the original batch and first format of 12oz. I am the 2nd owner and it was acquired from someone who fridge stored it since original purchase on Morning Delight Day in 2013. I too have kept this in the fridge and it has never been shipped. This is hand numbered to 400 and there aren't many if any that are left.